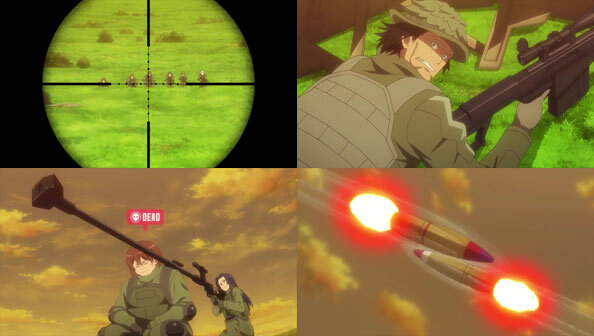 LLENN and Fuka are saved when SHINC opens fire on MMTM, hoping to take them out, but they escape. 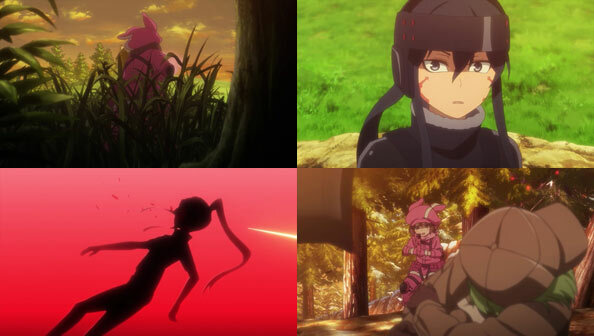 Eva wants to have a proper duel with LLENN, but Fuka lets slip the reason she can’t: the possibility of Pito dying. Meanwhile, Pito agrees to a ceasefire with KKHC only to immediately shoot them once they turn their backs, rejecting the fact they had a “gentleman’s agreement” for the simple fact she’s not a gentleman. Only one KKHC member escapes, whom Pito doesn’t consider a threat because her teammates said she doesn’t like shooting people (one wonders why she’s in a game where that’s the whole point…unless she’s only interested in the tactics). But this green-haired girl decides it’s okay to kill “vermin” like Pitohui who would so heartlessly slaughter her comrades. SHINC agrees to work with LLENN and Fuka on a pincer attack of PM4. SHINC demonstrates their proficiency with moving to avoid sniper fire, even from a rifle that can shoot from over a kilometer away. Before M knows it, they’re shooting one of their own in order to use her big body as an immortal pedestal on which to mount an even bigger, more powerful sniper rifle, and anti-tank gun that takes out M’s shield piece by piece and forcing him to retreat to a cabin. LLENN is standing by not too far from that cabin, and on Eva’s signal, she moves in to kill Pitohui. Only the green-haired girl gets a shot in first, all because Pito didn’t take her seriously as an enemy. She’s shot through the head, and even a curative doesn’t seem able to stop her HP drain. However, she does not die. She loses it a bit, most likely because she’s using an SAO-era NerveGear and isn’t being automatically logged out due to extreme neurological stress. 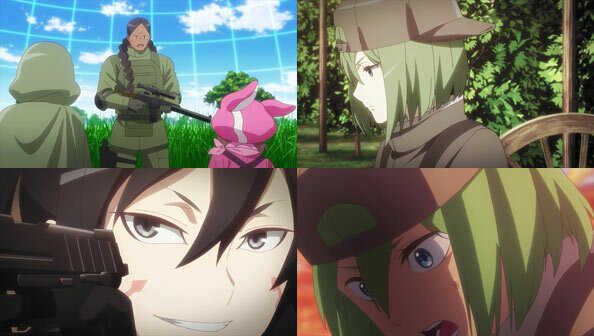 LLENN kills the green-haired sniper, but her quarry is interfered with once more when MMTM moves back in and raids the cabin. 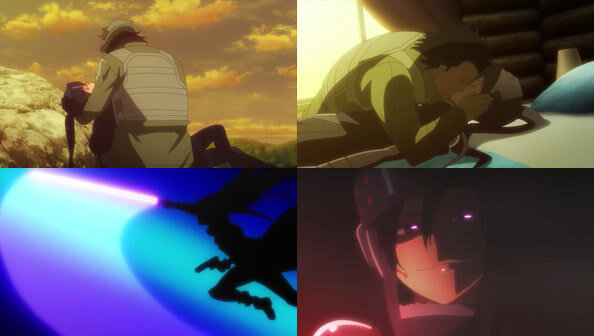 Believing the end to be near, M (Goushi) leans in to kiss his beloved Pitohui, still recovering from her head wound. But just as MMTM reaches the door to her room, Pito whips out her latest weapon: the same photon sword used by Kirito when he played GGO. Looking more sinister than ever in the red glow of its blade, and with MMTM eviscerated, Pito looks not-at-all ready to go down easily to our petite pink P90 pusher.